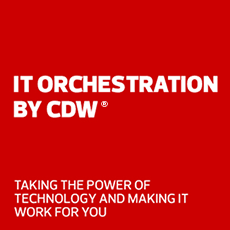 Keep your network up to speed with Aruba solutions by CDW. Aruba, a Hewlett Packard Enterprise company, is a provider of next-generation networking solutions for enterprises of all sizes. It delivers IT solutions that empower organizations to serve mobile-savvy users who rely on cloud-based apps. Aruba is redefining, improving and optimizing management of branch operation networks. Simplify network management and enforce policy definitions across thousands of sites. Improve your branch operations by up to 68 percent over the next three years with Aruba Networks. Aruba software-defined WAN technology simplifies branch operations and optimizes WAN management. A modern network needs modern solutions. From switches to security, serve #GenMobile with innovative IT solutions from Aruba. The demand for wireless access and strong network performance has become a necessity. Both workers and consumers expect reliable Wi-Fi — the absence of which can influence their decision to enter or leave an establishment. Aruba's AI-powered Wi-Fi simplifies and innovates IT while enhancing user experiences. With the modern workplace becoming increasingly mobile, you need cost-effective solutions for managing, monitoring and securing your network. A breakthrough in campus core and aggregation modular switches, get an intelligent, flexible approach to security and scalability. This web-managed switch series is a next-generation, high performing platform for advanced small business networks. Increase performance and ease of use for the enterprise campus and branch office with an access switch series that’s simple to deploy and manage. Regardless of industry, Aruba Networks has solutions available to serve any need and solve any problem. Connect users and devices through AI-powered analytics for a smarter digital workspace. Offer guests secure networking solutions that allow for easy deployment and flexible service options. Improve customer experiences and your bottom line with solutions to explore, discover and buy. Mobile enterprise networks can critically improve healthcare and personalize the care experience. Secure, stable Wi-Fi enhances learning by connecting students to education devices and apps. Help students connect to and access devices and tools in even the most challenging environments. Track assets. Manage APs, switches and branch gateways. Get real-time troubleshooting and comprehensive endpoint protection.